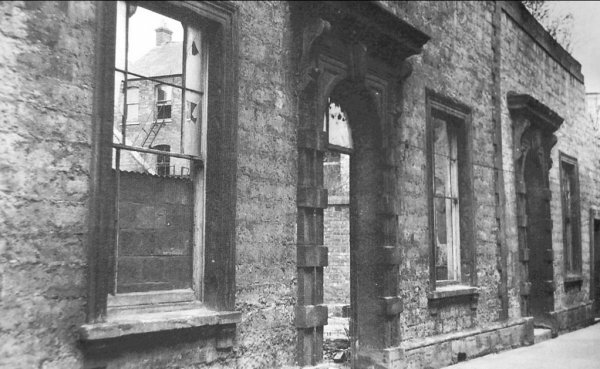 In 1846 the Special Commissioners took over the rights to the markets from the Phelips family, and they resolved to build a new Town Hall and markets that would also replace the old Tolle Hall, the Shambles and the Market House, all in the Borough. 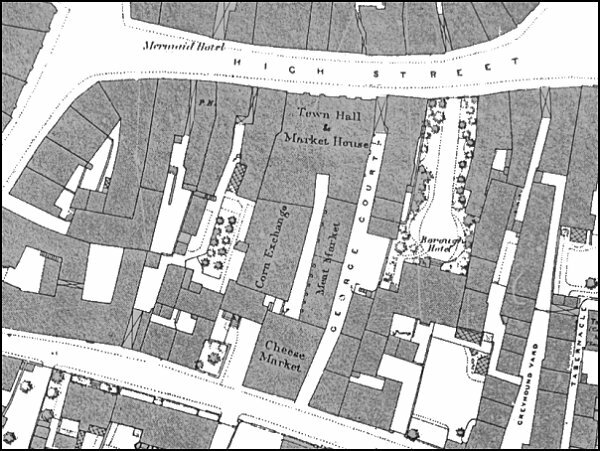 The new Town Hall was opened in 1849 and at the same time, and behind the Town Hall, were built a Corn Exchange, Meat Market and a Cheese Market, the whole complex extending from High Street all the way to South Street as shown on the map below. On 5 April 1849 the Sherborne, Dorchester & Taunton Journal in an article entitled 'Opening of the New Market House at Yeovil' reported "Underneath the Town Hall is the Corn Market, not yet completed.... Next to the Corn Market.... is a light, airy and commodious Butcher's Market.... Next to the Meat Market is a building for fruit and vegetables; then follows a Fish Market, Clerk's Office, and a spacious market for bacon and cheese, the latter opening on to South Street. Over the dry goods market is a large Flax Room, which on this occasion was pretty well filled with the commodity for which it was designed." On Good Friday 11 April 1941, late in the evening. several delay-action bombs hit the town centre. These were designed to explode some time after impact, with the bomb's fuses set to delay the explosion for a period lasting anywhere from just a few seconds to several weeks. Short delays allowed the bomb to penetrate before exploding whereas longer delays were intended to disrupt bomb disposal and other activities as well as spreading terror. All the bombs exploded before the 'all-clear' siren sounded with one destroying the Medical Hall in the Borough and another killing four soldiers of the King's Own Scottish Borderers billeted in the Corn Exchange. While fighting the fire in the Corn Exchange, Auxiliary Fire Service Patrol Officer Charlie Gillard was killed when the delay-action bomb exploded in the Corn Exchange in the early hours of 12 April. A tablet on the remains of the Corn Exchange was erected in his memory. The Corn Exchange was finally demolished in 1962. The 1886 Ordnance Survey showing the Town Hall & Market House, the Corn Exchange, Meat Market and the Cheese Market. 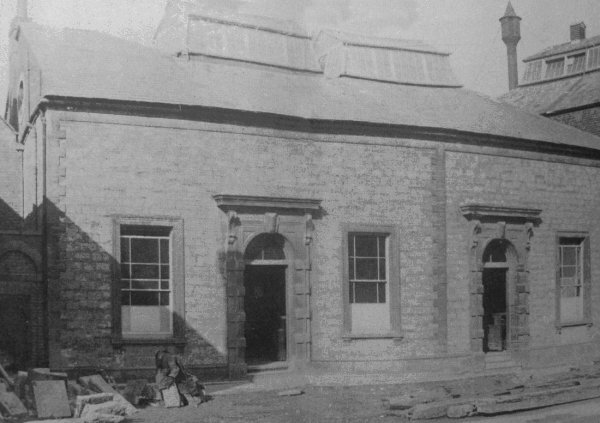 This photograph shows the Corn Exchange behind the Town Hall. The Corn Exchange seen during its demolition in 1962.